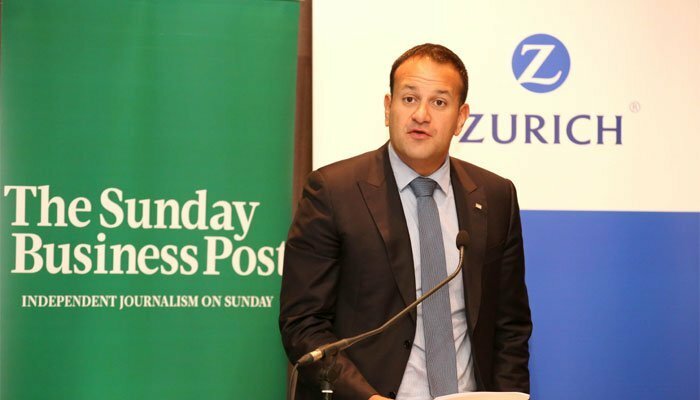 Speaking at the inaugural Pensions & Investments Summit, Minister Varadkar highlighted the challenges for State pension provision and put forward suggestions that could bridge the pension divide. Minister for Social Protection, Leo Varadkar T.D. There are a number of issues facing pensions and retirement in Ireland that need to be addressed and which will require ongoing reform if the pension system is to be sustainable and fit for purpose in the future. The Sunday Business Post's inaugural Pensions & Investments Summit, sponsored by Zurich, welcomed industry experts to the Gibson Hotel in Dublin on September 22nd to discuss the challenges and trends in the pension industry and to debate what the future holds for pension schemes in Ireland. Putting the issue into context, the Minister for Social Protection, Leo Varadkar T.D. began by explaining the origins of the Irish pension system which was set up to provide an adequate and sustainable standard of living for people when they retire. The Minister said that while the State pension will continue to be the bedrock of the Irish pension system, ongoing reform is required to deal with the challenges facing the system. "State pensions already account for the single largest block of social welfare expenditure," Minister Varadkar said. "In 2016, approximately €7bn will be spent on pensions, which represents 35% of my Department's total current expenditure. Currently, there are 5.3 people of working age for every pensioner. This ratio is expected to decrease to half this amount by 2040. As a result of this demographic trend, the number of State pension recipients is rising by around 17,000 every year. This has significant implications for the future cost of State pension provision, which is currently increasing by close to €1bn every five years." In recent years reforms have been made in an effort to improve the sustainability of the State pension system, the most notable change was the increase in the State pension age for everyone at 66. This will increase to 67 in 2021 and 68 in 2028. "The qualification requirements for the contributory State pension have also been amended to ensure that payment rates more accurately reflect someone's social insurance history. This means that those who contributed more frequently during their working lives will benefit more in retirement than those who made less frequent contributions," the Minister explained. Minister Varadkar did point out that these measures are underpinned by a strong safety net payment in the form of the non-contributory, means-tested, State pension. This means that anyone not qualifying for the contributory system is protected thanks to a guaranteed minimum income on retirement. In 2014, the OECD published a review of the Irish pension system and made a number of recommendations for future reform. According to Minister Varadkar: "The OECD confirmed that Ireland is one of only two 35 member countries in the organisation that does not have a mandatory or quasi-mandatory earnings-related pension to complement the State pension at a basic level. As a result, Ireland faces a very significant challenge in filling the considerable retirement savings gap and reaching adequate pension replacement rates for many of our citizens." As a nation we are living longer and healthier lives. Clearly this is a very welcome development the Minister said, but he also pointed out that this also means that as our average age increases, workers must set aside more for retirement if we are to maintain a similar standard of living to that of our working lives. The CSO recently released figures that show that pension coverage has decreased from 51% in 2009 to a current rate of 47%*. And when the private sector is viewed in isolation, this figure falls to just 35% of workers. This means that a majority of people will rely largely on the State pension in retirement. The Minister of Social Protection says that unless the overall pension system is reformed, its long-term adequacy and sustainability could be compromised. "That's why I support the development of a new, universal, workplace retirement saving system for workers without supplementary retirement provision." Central to reform proposals is the Minister's aim to develop a system that provides universal coverage, and which also significantly improves the adequacy of retirement provision. "The introduction of any new system of universal pension coverage will take many years. The Government will be guided by the initial conclusions of the Universal Retirement Savings Group and the outcome of the Pensions Authority consultation," Minister Varadkar explained. "My strong view is that serious pension reform is only possible with a broad social consensus around the design of a universal system. This represents the most fundamental reform of our pension system in a generation. It's already a key area for my Department and will remain so for many years ahead." * Source: CSO Quarterly National Household Survey, 2016.